This post is sponsored by Chicken Soup for The Soul Pet Food and the BlogPaws® Professional Pet Influencer Network. I am being compensated for helping create awareness around the Brand and new product launch, but Rosie Discovers only shares information we feel is relevant to our readers. Chicken Soup for The Soul is not responsible for the content of this article. Seven is quite an important part of our household. Not just the giant tabby named Seven, but also all of his favorite things. The easiest ways to show our love for Seven is through the sacred seven list. 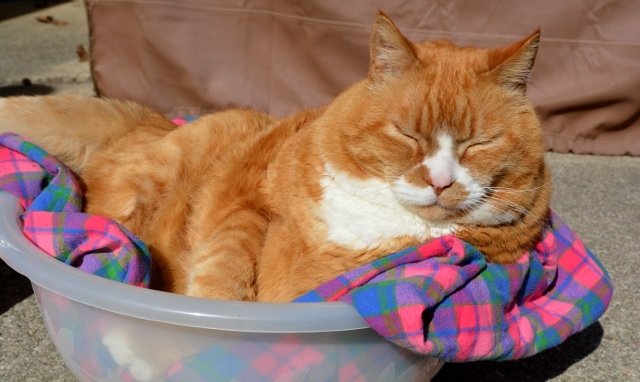 These are the daily rituals that keep our cat happy and healthy. These Seven approved activities are an easy way to #LoveYourPetEveryday. Sometimes this takes place in his favorite bowl. He’s had this since kittenhood and now fills it up over the brim. Of course Seven also loves sleeping on smart phones which are great for his social media needs. Be sure to follow Chicken Soup for the Soul Pet Food on Instagram and Twitter! These are Seven’s favored social platforms. Chicken Soup for the Soul provides a grain free diet which means we don’t have to worry as much about his free range feeding style. Seven requires the freshest water. He will wait for you to fetch him some. He’s very understanding. 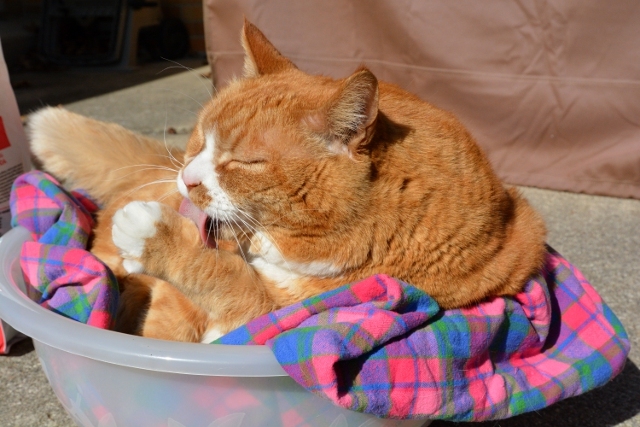 This includes not only the favored brush to keep his coat in great shape, but also all other cat grooming. This includes a complex relationship with all brushes. They are his love and tormenter. Seven is always looking for a sun patch. He loves a certain room with the curtains open which creates the sunnery. He will wait for the sunnery to open every morning. While we’re working out at the gym, he is showing off his ab to the sun. There is nothing he loves more than being together. If we’re at home, then you can always find him nearby and generally ready to be held. Being a mature cat, Seven needs more assistance. He is a semi-retired hero and no longer flies quite as much as he once did. This results in him being raised and lowered to his favorite spots. You can still enter your own hero (semi-retired or otherwise) into the Chicken Soup for the Soul Pet Heroes Contest. You can your hero can be featured on television! Like Seven, lots of other animals need support. 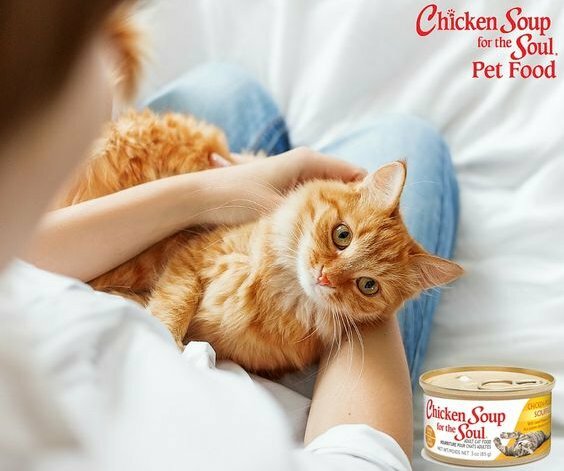 Chicken Soup for the Soul is giving part of their sales of their new pet food line to The Humpty Dumpty Institute which supports people that feed and care for shelter animals. That’s not all! 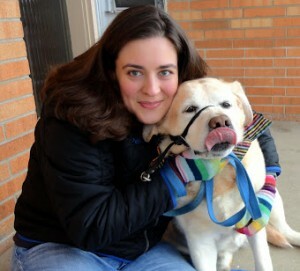 Their new books, Chicken Soup for the Soul: My Very Good, Very Bad Dog and Chicken Soup for the Soul: My Very Good, Very Bad Cat, royalties’ will be donated to the American Humane Association! You and your pet are giving back to other animals in need.